The Houston Chronicle reports on a subject that has been brewing no shortage of chatter around Houston among local political types: whether or not Harris County Democratic Party Chairman Lane Lewis, who is also running for the Houston City Council, should resign the chairmanship. Upon some contemplation, my answer to that question is an emphatic yes. Back in December, when Lewis first announced his candidacy, I was broadly supportive, given his track record as party chair. I have liked what Lewis has accomplished at the helm of the party, and was very supportive when he previously ran for the city council in 2009. In 2012, he was named Person of the Year by Texpatriate. It is my firm belief that if someone less competent than him were leading the party that election, every single Democratic incumbent would have been defeated. All these qualities, all other things being equal, make Lewis a great candidate for the city council. But none of them justify him staying on as chair. Of course, I recognize that neither pertinent law or party rules compel Lewis to resign, but it is the right and ethical thing to do nonetheless. Lewis was not the first candidate in this race, not by a long-shot. He was also not the first Democrat; the third, actually. Philippe Nassif and Jenifer Pool, both good progressives, would make fine councilmembers. Both have been outwardly campaigning for the position for many months. My biggest fear is that Lewis or his allies could — even inadvertently — coerce other Democrats out of the race because of the power he has over the party. The party is not allowed to endorse in non-partisan elections like this one for that very reason. Likewise, salaried employees of the party may not get involved. A big player in the HCDP, Finance Chair Bill Baldwin, has resigned in order to take on a more direct role in Lewis’ campaign. It simply does not pass the ‘smell test’ that the chairman of the party need not adhere to the same standards. In the Chronicle article, Lewis defended his decision not to run, pointing to the plethora of other politicians in elected office who simultaneously run for another office. However, this ignores the most inimitable quality of Lewis’ office: its constituents are not citizens, but political cadres, including other politicians. Lewis is in a unique position to reward or punish other municipal candidates. One that HCC Trustee Chris Oliver, for example, another candidate for At-Large Position #1, simply does not have the power to do. As Texas Leftist and John Wright (writing for Project Q Houston) have noted, there have already been spats between Lewis and another candidate (Pool). This is to be expected; it is politics, after all. But what makes political trench-fighting like this so dangerous is that Lewis has weapons at his disposal that his opponents do not. Now, I do not think Lewis has done anything improper hitherto on his campaign, but he should proactively eliminate the possibility of it altogether and resign the chairmanship. Lewis has been a good chairman, and would make a good councilmember if elected. I want to consider supporting him, but he needs to resign as chair in order to run a feasible campaign. If he doesn’t, there is simply no way that I could support him, all other things remaining equal. As you may have noticed, posts on this publication have become less and less frequent in recent months. This reflects a changing reality for me, and a transition when it comes to some of my priorities. Don’t worry, this isn’t the “End of Texpatriate” obituary; rather, it is a admittance that this blog no longer can function the way it did in 2013, when we had 3 active contributors and at least 3 articles per day, if not more. While the Texpatriate Editorial Board is still extant, its membership has been truncated and its activity has been rather dormant. I can’t really imagine that changing, in all honesty. For at least the remainder of this academic semester, I will not be opining about national or state politics on this blog. I might break that rule is something really big happens, but probably not. When it comes to local politics, I will do my best to interject a fresh opinion every now and then, but I just do not have the time to report on breaking news in a timely fashion. When I first started Texpatriate, I often made a point of urging readers not to use the publication for first-hand news. That principle is as true now as ever. The Houston Chronicle, despite my myriad critiques, truly does yeoman’s work in reporting local political stories. Their newest addition to that beat, Teddy Schleifer, is particularly talented. Since I started college (which, not coincidentally, is when I started this blog), I have been involved with the newspaper on campus. At Brandeis that was The Justice and here at UT-Austin that is The Daily Texan. I am currently the Senior Associate Editor at the Texan, which essentially means that I am an overseer of the editorial section as well as have a few side projects of my own. If you’re still interested in what I have to say on state politics, I actually do edit and contribute to another blog at the Texan, named “A Matter of Opinion.” I write 2-3 posts a week there, all about state politics, and my colleagues also contribute stellar analyses. Further, I pen most all of the editorials pertaining to legislative and political topics, which run most every day. Finally, I also host a radio show (in Austin) on KVRX every Monday at 4:00 PM, predominantly about state politics, which is recorded and uploaded online as a podcast. For copyright reasons, I cannot post the actual content on this publication. If you are so inclined, please consider checking it out. The Texan is the only college newspaper in the state that actually produces serious political content — news and editorial — that becomes part of the conversation with some frequency. I have been honored to get the opportunities I have there, but running this blog may have been one of the greatest honors of all. Thank you all for reading, and please come back! The 2016 Presidential election has officially entered silly season. There are plenty of political issues on which, no matter how heated and recalcitrant my positions may be, I can understand that there are two realistic answers to the question. On others, however, the same simply cannot be said. Natural selection occurs, the world is more than 5000 years old and vaccines do not cause Autism. Just for good measure, the earth is also round and the sky is blue. Unfortunately, two serious candidates for president from the Republican Party are having some serious problems accepting one of those axioms, specifically the one about vaccines. First, as The New York Times reports, Governor Chris Christie (R-NJ) defended parents who irresponsibly opt out of vaccinations such as measles for their children, saying that parents “need to have some measure of choice” in the matter. In doing so, he broke with President Barack Obama’s position, which is that all children should be vaccinated against preventable diseases. Christie unsurprisingly received a barrage of criticism for his remarks, and despite attempts to walk back the remarks, the damage was done. But suddenly, a new contender has emerged: Senator Rand Paul (R-KY). In an interview with NBC News, Paul spoke frankly about his views on immigration. 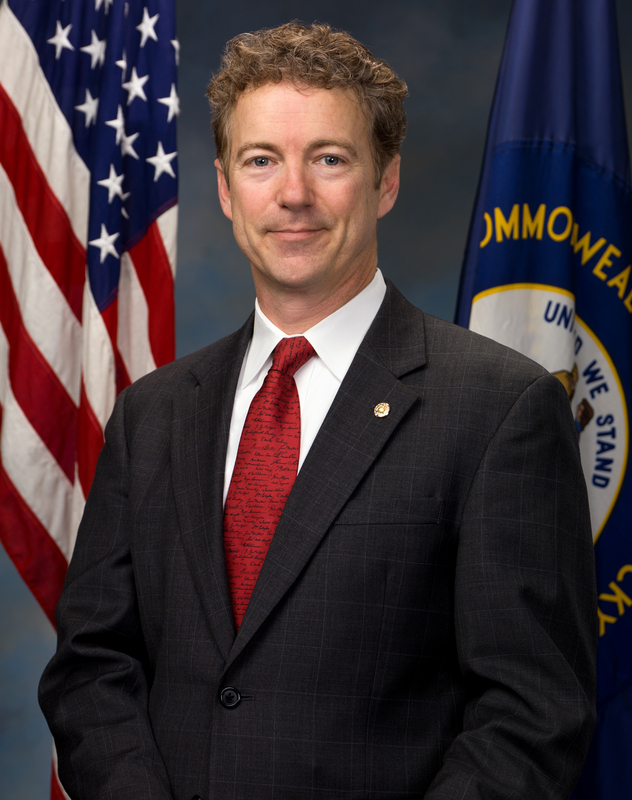 A reputed civil libertarian, Paul took exception with the alleged individual liberty violations inherent in mandatory inoculations. Most troubling, Paul lent his support to the deleterious hoax that vaccines can cause profound mental disorders such as autism. “I have heard of many tragic cases of walking, talking normal children who wound up with profound mental disorders after vaccines,” he said in his CNBC interview. This doesn’t happen. He would have been better off saying that a magical unicorn deposits gold ingots in his backyard; at least, that way, nobody would have their health put at risk because of his baldfaced lies. There was one study linking Autism and vaccines (specifically the MMR one). It was discredited, many times. The doctor in question had his license revoked, and eventually retracted the entirety of his findings. It has since come out that he just fabricated the whole thing. Why Paul, a medical doctor, would support such preposterous dribble is beyond comprehension. Mandatory vaccinations should be self-explanatory. Individuals with compromised immune systems or other serious ailments often cannot manage the stress of receiving a vaccination (which is minimal for those with functional immune systems), so they must rely on herd immunity. Those who can vaccinate but do not selfishly put those who cannot at risk. It is not just foolish, it is negligent and hurtful. I never thought we would actually have to defend the validity of the measles vaccine in a presidential election. What century is this? Say what you want about Rick Perry, but his unequivocal and succinct response to all this silliness was absolutely spot-on. His partisan compatriots should learn a thing or two.